Howdy….Hello…..One day a new type of spacecraft will be built. It will use Newtons’ apple and Einsteins’ mass. It will be a measuring device to measure the gravity of different objects in space. The ‘apple’ will be attracted to the object, from the Earth. It will travel very fast. It is pro gravity, not anti. This is an intresting post, although it was created in oct 2011, I gota admit Langley did a fantastic job with this project. The 2069 post has nice comics but the idea that stands behind the B.E.E.S technology, as far as I see it, is beyond grasp and to my beliefs would become possible much, much later. technology rocks and so does NASA… loved your every article here. Waw !!! It was created in oct 2010, Its really very intresting post. Thanks to Gonzalez for this post. Yah! I really enjoyed !! and very excited for the next. Like to watch movies? DISH Network Promotions bring you all. With the recent DISH Network deals and unique offers and Delivering more than promised. May you be interested to the annual laba.biz/blog scientific-artistic ‘Fly like birds’ conference? A great choice for entertainment can be …and you need only the internet connection as technology. Online entertainment is a good choice when you are bored or tired.You can read some and smile every day. Technology helps us to in so many ways on the internet. lots of thanks for sharing the information, very informative and interesting i must say. Nice post.It was great going through your site article. This is great info. I may write a post about degrees that lead into becoming an astronaut. It took me a few minutes to realized that your blog was worth reading. I contemplated over and over again. Thanks for educating me to A Space related topic. This is a great read about the TEDxNASA conference, I wish I could’ve attended. Great post! As I said before, I think NASA would benefit from working closely with the private sector, to develop new technoogies. At least until we get out of this economic slump. Do not forget to make a reservation 48 hours before the scheduled pick up if the use of online facilities. booking can be confirmed by fax or email. A driver knows the route of a low-cost benefit will be greater for a traveler. The all information of that blog is great sensitive in any informational website . and any IT sector . thank you so much for that blog site. Nice read! NASA should get bigger budget this time for more extensive projects and research. A very informative blog and well written. Mixing state-of-the-art technology with professional design is sure to be an exciting place. Fun read. nice article.. i would love to discuss on this article. 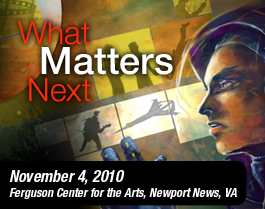 NASA is inviting the public to join agency leaders and innovators from a variety of fields on Nov. 4 to discuss “What Matters Next.” Discussions and presentations on the theme will be the centerpiece of the second TEDxNASA, a daylong event modeled on the TED (Technology, Entertainment and Design) conferences that bring together leading thinkers to create a dialogue on important global challenges. wow,amazing good posting done by u.I really like u posting & i recommend my friends to watch ur site throughly.Any how thanx for sharing,keep updating………….. I love read about robotics. Please write blog on robotics in future. nice article. i recommend it on digg & facebook,This is the perfect blog for anyone who wants to know about this topic. NASA is inviting the public to join agency leaders and innovators from a variety of fields on Nov. 4 to discuss on “WHAT NEST MATTERS”. that’s great. Your write about is excellent i will reveal the idea along with my buddies as well as facebook or myspace contact lenses. If I had a website with your market I would will give you a link exchange. The post need more coverage as well as desire the favorites can help you read more traffic. Great post, yet again !! I really love this nasa annoucement. Really thanks for your hard work. I really enjoy the information. Really wonderful blog. I love the nasa work. I am pleased sure this post has helped me save many hours of browsing other similar posts just to find what I was looking for. How well this of integrating people who are interested in these issues of technology, thus it can be implemented many improvements in the technology, and best of all, as different parts of the world, innovations can be according to the needs of each society. Amazing and I really love your post. Your article is one of the best I’ve ever read. Just wanted to say your blog is kinda awesome. I always like to read something new about this because I have the similar blog in my Country on this subject so this help´s me a lot. I did a search on the subject matter and found a good number of blogs but nothing like this.Thanks for sharing so much in your blog. I like the Idea of NASA for providing as blog to read everyday.. It really helps to all the subscriber and news reader. We will be going to watch for the news, events, new technology arise. Good work NASA team and more power! NASA is one of the reputable in weather forecasting. They have advanced technology in studying heavenly bodies. I cannot thank you fully for the articles on your site. I know you set a lot of time and energy into these and truly hope you know how deeply I appreciate it. I hope I will do the same for someone else at some time. TEDxNASA events provide an opportunity to leverage the strengths of a TED-inspired format and create a unique opportunity for the exchange of game‐changing ideas. There have been several TEDxNASA conferences, events designed specifically for ideas relevant to NASA missions and goals. I love to hear NASA and TED are teaming up. Two of my favorite organizations! TED has always been a phenominal website. I feel like I dont even need televsion any more. There really is just a wealth of inspirational, educational, and interesting speeches and people on there. If you want to see some particulary good TED talks, I have some links in my directory . Have a good one! very nice post, Nice work NASA. As I’ve attended TED events before, I know that they can be great talks and very informative. Thanks for the links to last years videos. Although I missed this years events, I shall be attending next year, as they are a must-see for any tech enthusiast. Interesting article… The NOAA collaboration sounds wonderful. Any improvement of our current methods of weather modeling would be awesome. 2011 was a horrible year for damage caused by extreme weather. We still need lots of improvements in our weather warning systems. Thanks for sharing superb information. Your site is so cool. I’m impressed by the details that you’ve on this website. It reveals how nicely you understand this subject. Bookmarked this website page, will come back for extra articles. I am absolutely amazed at how terrific the stuff is on this site. hey there nice post. i keep on reading different entertainment blogs for news & updates about the industry and the upcoming competitors…keep on writing and sharing. I’m a graduate student in neuroscience (fancy ey? ), and because of that I think about and discuss the brain and the mind a lot, and﻿ the beauty of the complex and abstract system that is the mind/brain is hard to bring across to laypeople. This post is awesome and obviously one of brilliant job by NASA. Great post, I also love TED. Also like their movies on and . I just love TED and it’s video’s. Thanks for sharing this vision! Owner of a blog on and . That was really a very well written post. NASA is really doing quite impressive research in space these days. Well, I think they should put some efforts in searching for water in the universe other than earth. If they succeed in doing this then it will be a very great achievement for them and also for us. TED (Technology, Entertainment and Design) is a global set of conferences owned by the private non-profit Sapling Foundation, formed to disseminate “ideas worth spreading”We believe passionately in the power of ideas to change attitudes, lives and ultimately, the world. So we’re building here a clearinghouse that offers free knowledge and inspiration from the world’s most inspired thinkers, and also a community of curious souls to engage with ideas and each other.so as i thought about bringing to gether the words technology. Really interesting post, great information! Thanks! Hey there nice work..i love reading and sharing new & quality info …. i loved the post and i will share & tweet about the work on your site for sure. Nasa is really doing very nice job nowadays, especially the Tedx. I heard a news of finding water in some other planet. Is it true? If this is true then the water scarcity problem can be minimized and there will be no need of preserving and . I like the Idea of NASA for providing as blog to read everyday.. It really helps to all the subscriber and news reader. I really love to watch TED , VERY entertaining! For one of the most sophisticated blogs I’ve encountered in some time! It’s just amazing how you can remove something just because of how beautiful it is visually. I am expecting to see some changes in the way the appliance parts will be designed. I am perfectly aware of stand by power and and I hope we’ll be able to make the difference in cutting electricity consumption. Big and small appliances need redesigning just for this purpose. After joining a local TEDx, I can say I have never learned more in a one day session about Technology and how it relates to our everyday lives. I only wish I could find a away to the original TED! NASA is inviting reporters and the public to join agency leaders, technologists and innovators from a variety of fields, it was a wonderful program held by NASA i enjoyed lot. Nasa is performing the excellent move by design the plan to move us into space. Great post! Thanks for sharing us this very informative and well written blog post.I like this type of information because you always can learn some interesting new knowledge and at the same time revive the knowledge you already know I love every bit of it especially the points that you expressed. And I would love to come back in a regular basis so post more of the subject!!! May be the end of the war happening in this year ? I hear some information and many people discuss about this. Learning can be a difficult task if you don’t know what you’re doing. There are many attraction tips and tricks out there, some of the best come from joshua pellicer who wrote The Tao of Badass. Read the and see if it can help improve your skills with women. Seems to me a very useful information. So glad to be able to find this! However I am quite sure that apart from this information, you would’ve no idea what a actually is. Am I right? Very well done you NASA guys are awesome! Inspiring post! seems technology and design are stepping into a new era. we at sizzlemedia are also quite inspired by the latest algorithm change of Google. web designing was never so challenging. we just love every bit of it. keep it up NASA! technology is a never-ending journey. inspiring news! technology and design are surely stepping into a brighter tomorrow. we at sizzlemedia have always believed that web design and development have many more avenues to explore. NASA blog post is enough an inspiration for us. innovation is last word in web design. Internet is not only the way you can find the jobs of your skill description but it is the greater source of starting the business. I would like to thank you for the efforts you have made in writing this article, and i am hoping the same work from you in the future as well. Thanks for sharing us this article! American Government spends a big ratio of Budget on the NASA projects. Very good work by NASA Agency. I like and share your idea of the combined power and beauty of arts and technology. We all know that all the genius men and Nobel laureates are either people of the arts or people of the science. Scientific progress and creativity will always go together. And by the way I took a look at the facility at West Virginia, it is really amazing state-of-the-art supercomputer center. Very good work by NASA. i agree,it way to make “nasa” more entertainment is can lead many young generation want to be member of nasa. I love TED. Thanks for the post! TED sounds like a very ambitious, but awesome program. Can’t wait to see what comes out of this. Thanks! Thanks for your posts, it is very intersteing and related to ATV Parts. I have found anohter website related to . Check this out. Sounds like a interesting event. Newport News is the best city on the east Coast! What is the date of the TED event for 2012?? In business, handling good finances mean greater chances of profit and investment. I like the TED missions in believing passionately in the power of ideas to change attitudes, lives and ultimately, the world. So we’re building here a clearinghouse that offers free knowledge and inspiration from the world’s most inspired thinkers, and also a community of curious souls to engage with ideas and each other. Great and valuable information. Thanks for sharing. TED Nasa is the best resource for technologies used in space engineering. TED is there to give information as well as NASA. This will be a great forum to attend to! Really thanks for providing such post. I love to recommend your site to my friends because it is very informative and very entertaining for us. NASA is always ahead in technology innovation.. wish you good success ahead. We applaud they in Langley with regard to pressing to create with each other the various globe sights through technologies, amusement as well as style. We have a great experience in transmission repair.We are here for you with the Master Mechnics experience to service all makes and models.If you need help with new problems visit our shop for our experices. This is incredibly interesting. I will spread the link with people who may benefit. Thanks! Hi, I want to subscribe for this blog to take latest updates, therefore where can i do it please help. It is such a shame the shuttle had to stop missions. But can not wait to see what the next crats will be like? Many thanks for taking the time to discuss this, I really feel strongly about it and love learning much more on this topic. If possible, as you gain expertise, would you mind updating your website with a lot more facts? It’s extremely helpful for me. Just today I have come here. I will come back here again. Very nice blog can’t wait for updates..
Quite an interesting topic indeed. It is very refreshing to be able to digest different views on technology intermingled with entertainment and design. Imagine the possibilities. Hi all! thanks for spreading the news! Glad to help you out. This world needs more persons like you,great blog post,look forward to reading more. Thanks for sharing love this whole new thought! I discovered the TED talks about a year ago. Occasionally, I will watch a TED video on my Roku box. A friend of my told me that he has noticed a few metions of TED talks in and comics. I can’t wait til the first TED talks movie.